If you are looking for family or dog friendly self catering holiday cottages and apartments to rent in Cornwall, Higher Trewithen is the perfect location. Originally an old Cornish Farmstead dating back 300 years, Higher Trewithen's farmhouse and outbuildings have been converted into comfortable and fully equipped self-catering cottages and apartments, to sleep between 2 and 8 people and many of our properties are dog friendly. All cottages and apartments benefit from free WiFi. Bed linens, heating and electric are included in the price of your stay and your beds will be made up ready for your arrival. For stays of 7 nights or more, you will also find a Welcome Pack of local milk, bread and butter and a supply of tea, coffee and sugar. Towels are available for hire and we have a separate laundry room on site. Books, board games and sun loungers are also available free of charge. 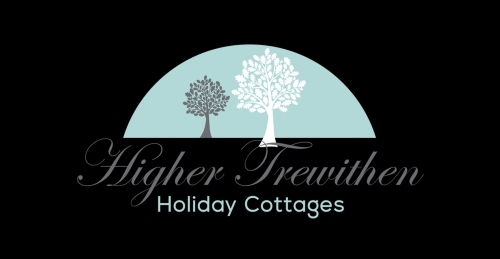 We have a total of 7 holiday units at Higher Trewithen, which vary in terms of size and decor. Our largest property, The Hayloft, can sleep up to 8 people while our smallest properties, The Nook and The Cottage, can sleep up to 2 people. Most of the cottages are situated around a grassed, communal courtyard set back from our large gravel driveway. Each cottage comes fully equipped with everything you might need for your self-catering holiday. All of our properties benefit from free WiFi and prices are inclusive of hot water, electric and heating. All beds are made up ready for your arrival. Towels are available for an additional charge of £5 per person, per week. You can also hire a high chair, stair gate and/or cot. Please ensure you request any additional items at the time of booking. A description of each holiday cottage or apartment can be by clicking on the images below. Smoking is not permitted in any of our holiday cottages or apartments nor do we permit the use of candles or incense burners. Wi-Fi:- All residents of Higher Trewithen have access to free Wi-Fi during their stay. However, we politely ask guests to appreciate that, due to our rural location, Wi-Fi is much slower than in you may be used to if you live in more urban locations. Laundrette- A laundry room is available for guest use between the hours of 10am and 9pm Sunday to Friday and is locked between these hours. Guests are not able to access the laundrette on Saturdays, as the machines are required for changeovers. Our grounds- Guests are permitted to make use of the gardens and grounds at Higher Trewithen during their stay, except the private garden behind The Farmhouse. Wildlife at Higher Trewithen- During your time at Higher Trewithen you may be fortunate enough to spot a few of our more elusive residents. We are home to a family of stoats, who live beyond the wall of the carpark and we have a number of badger sets within the more wooded areas of our fields. If you are visiting in the spring/summer months, you may spot swifts and swallows racing about above your head, catching their next meal on the wing. Every evening the local bats make an appearance around the property, along with a range of owls that you will definitely hear but will need a keen eye and patience to see. Five stars doesn't do justice to this lovely place! Myself, husband, grandson and two friends recently stayed for a week here. We wished we could stay for much longer. All the places we wanted to visit during our Cornwall holiday were easily accessible from Higher Trewithen. The accommodation far exceeded our expectations and were fantastic value for money. Our host (Neil) was a great help and we felt like old friends! We will definitely be recommending this fantastic place to all our friends back in New Zealand. Well done Neil, you have created a real winner!!!! !